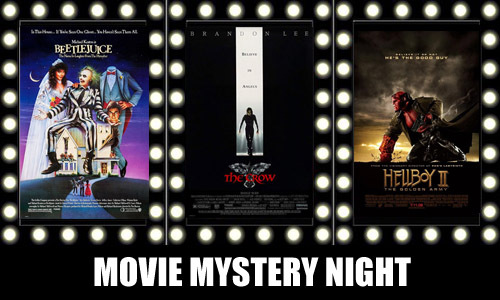 In Mystery Movie Night, the panelists are given three films to watch, and all three have a hidden (or sometimes not so hidden) connection. After talking about each film, panelists try to guess what the connection was. My friend Michael May invited for a second episode, Halloween-themed (but that's not the connection!). We talked about Beetlejuice, The Crow, and Hellboy II: The Golden Army, and the connection I found was... well, that would be telling. See how I did below. Listen to it HERE, or check the show out on iTunes! And my thanks again to Michael and his crew for letting me sit in. A treat and not a trick!